What are the best alternatives to Postbox in 2019? Postbox is a powerful, feature-rich email client that, despite its ‘short’ time on the market, has gained much popularity. The simple, clean user interface streamlines the management of your email accounts and inbox. The email client also connects to third-party apps, including Evernote, Slack, Todoist, Salesforce, Mailchimp, and more. ‘Why are people searching for alternatives to Postbox then’ you may think. Unfortunately, these features come at a price of $40 per license per version (Postbox 5, Postbox 6 i.e. ), though there are discounts for multiple use. It can be hard to justify the cost of Postbox especially with many free alternative email clients available for any OS on the market. Perhaps you decided to try the free trial but found that the features and experience didn’t justify the cost. Or it’s possible you’re a current Postbox user but have realized you don’t utilize all the features. Maybe you need more licenses and don’t want to shell out the additional cash. Whatever reason you may have for switching to another email client, we’ve compiled a few recommendations for alternatives to Postbox that you can try below! Postbox and Mailbird share many similarities.  Mailbird also has a clean interface designed to streamline the user experience and make managing your inbox easier. You can connect a large library of third party apps to Mailbird, from messaging apps like Facebook, Twitter, WhatsApp to task management platforms like Todoist, Evernote, Asana to Google Calendar and more. Also, its Unified Inbox with color indicators allows you to manage multiple email accounts from one Inbox, where you can manage and sort your emails. In addition to that you can completely customize your layout and color theme to make the experience unique to you! The free version is available with limited access to key features. The Pro subscriptions allow unlimited email accounts at a much cheaper price than Postbox ($1 per month or around $45 for a lifetime Pro subscription). A true all-in-one communication platform, with third party app integrations, Unified Inbox, and more. Several unique features, such as automatic inline reply color formatting, speed reader for fast scanning of long emails, layout and color theme customization, keyword search in attachments and attachment preview, email and contact snoozing. Solid Contacts Manager that even comes with the all-time favorite and unique linking function in addition to otherwise known merge- and syncing features. Fastest set up in 5 minutes or less with quick migration of messages and contact data. Declutter your email with Mailbird. Give it a free try now. Another great client that is definitely among the best alternatives to Postbox is eM Client. 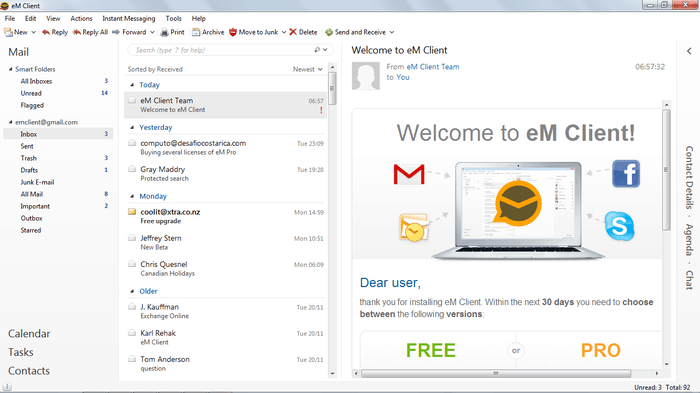 eM Client supports most of the common email services, including Gmail, Exchange, iCloud and Outlook.com, with quick and easy migration of messages and contact information during set up. 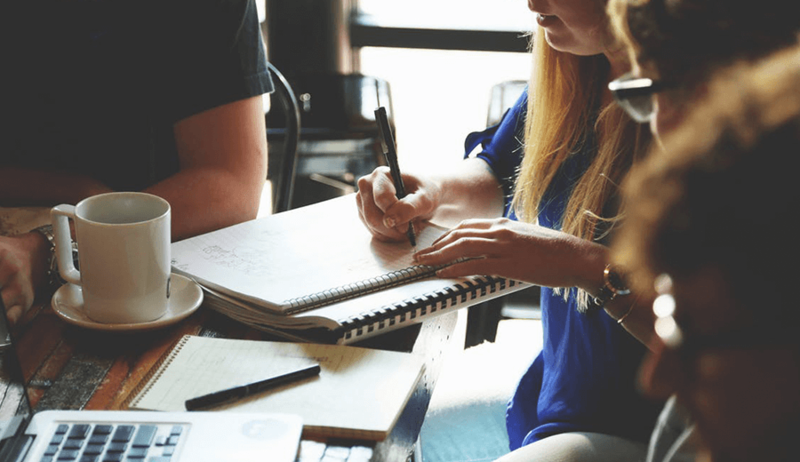 In addition to email, eM Client offers contact management, a calendar, a simple to-do list function and instant messaging through its simple, clean interface. Other features include automatic translation, delayed send, and email encryption. Free version includes all the important features for up to two email accounts. Pro version available for almost the same price as Postbox. $50 includes unlimited email accounts, tech support and commercial usage rights. Integrate email, contacts, calendar, to-do lists and real-time chat into one program. Simple set up with quick message and contact syncing with current services. One of the most advanced search functions of all email clients. Inky takes simplification to the next level. It is praised for simplifying inbox management and organization on an intuitive, modern interface. Once you’ve gone through the quick and easy setup, you can sort and filter emails into folders to hopefully achieve the much-desired Inbox Zero. Of all the alternatives to Postbox on this list, Inky could be the most applicable to personal use after Mailbird. In order to present a basic, streamlined user experience, Inky sacrificed many of the advanced features that might be important to someone looking for an email client for business use. Clean, intuitive user interface that is not cluttered by features you may not even use. 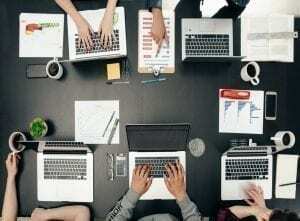 Quick, automatic setup process for most popular email services. Connect all of your email accounts in one application. 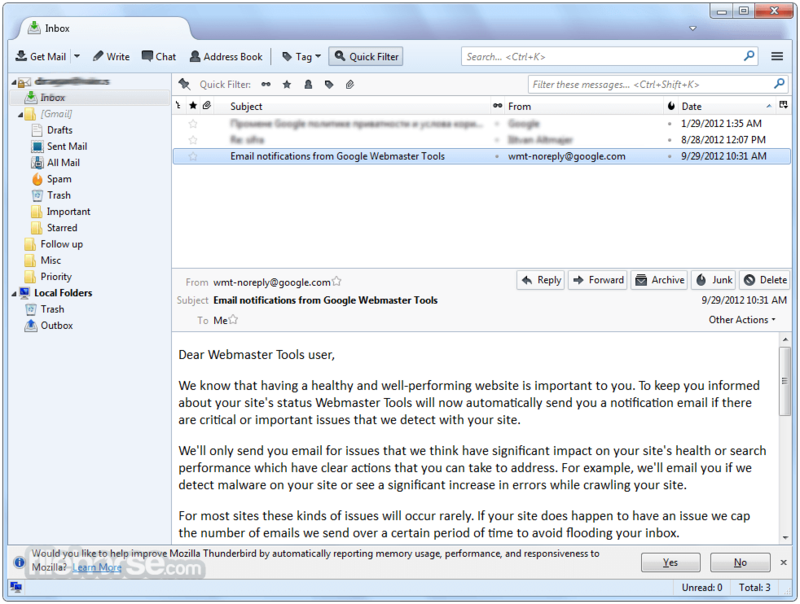 Mozilla Thunderbird is a free email client that’s loved by its users due to its advanced customization capabilities. While most email clients come with a set of features built into the program, Thunderbird has a large library of extras that you can download and install to extend its capabilities. Examples include calendar add-ons, mail merge capabilities, ad blockers, and more. It’s also kind of easy to set up and includes support for an unlimited number of email accounts. More than likely, the email clients that are most recognizable to you are the webmail services, such as Gmail, Yahoo, Hotmail, Outlook.com, etc. While all the other recommendations on this list are email applications, webmail allows you to access your email anywhere you have an internet connection and on any computer. All you have to do is visit the web address and log into your email. Of course, this convenience comes at a cost—webmail services are much lighter on features and you cannot access your inbox offline. Access your email through a web browser on any computer that’s connected to the internet. Almost always free for personal use, regardless of the company. No need to download or install any programs to get access to your email. If you choose to use webmail, you can also have an email application on your personal computer that syncs with your account. The combination of both might be the best alternative for you. 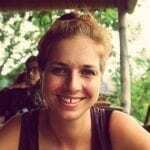 Connect all of your Webmail accounts on one easy to use email app. 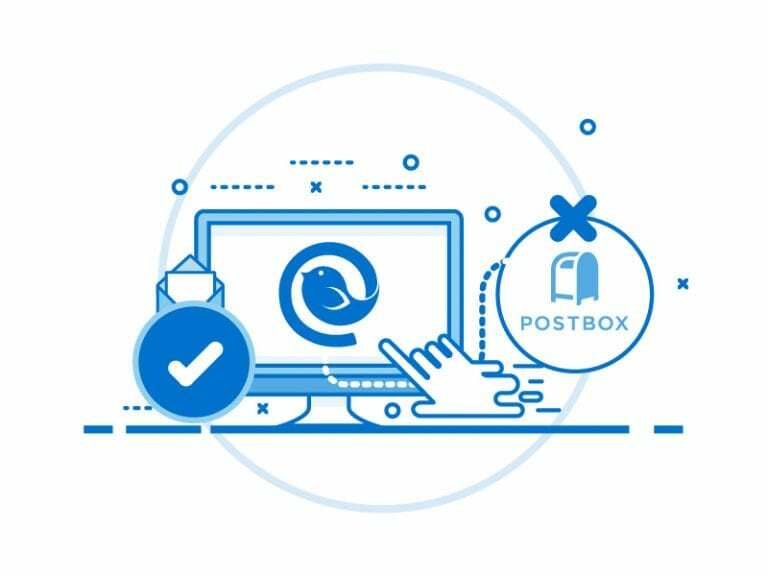 It’s clear that Postbox offers many advantages, but for most people, they will not outweigh the cost—especially when you get these same advantages from using an email client like Mailbird but for a cheaper price. So whether you’re a paying Postbox user or someone who used the trial and decided to explore alternatives, we hope you found these recommendations helpful. Did we miss any popular alternatives to Postbox? Let us know which ones you prefer in the comments! 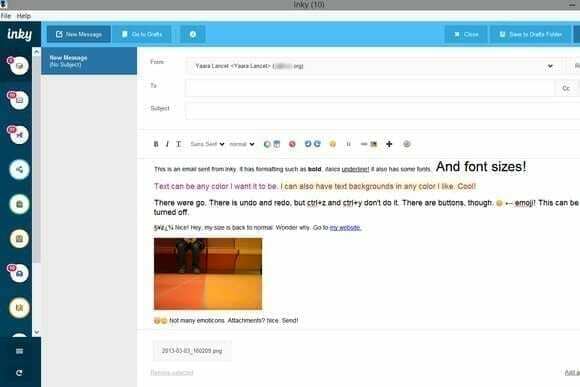 11 thoughts on "5 Best Alternatives to Postbox in 2019"
I’d like to use Mailbird, but the compose window has far to few fonts. Why can’t I use all the fonts that are on my system, the way I can with Postbox or Thunderbird? There is no google contacts sync in Mailbird but in Postbox there is a plugin for that. Sorry! I wholeheartedly disagree that Mailbird can be the best alternative to Postbox as Postbox is multiplatform. Mailbird has snubbed its nose at OSX users for whatever stupid reason. It maybe the most feature rich, have an exemplary layout or even be the best in design but it simply cannot be the best overall as it leaves a HUGE base of power users (paying customers!!!) in the freezing cold. I also bought Mailbird but I’m considering switching to Postbox or Thunderbird, simply because they provide a way better way to search email, plus there is no way to sync contacts in Mailbird. I find those two features to be essential for a proper mail client. Damn. Just tried postbox & hated it on sight because of the 1993-style UI. Here, we have something with a decent UI, and… Windows only. Great. Every once in a while they talk about a Linux/OSX port/version, but I haven’t seen anything in a while. When this comes to *NIX it will actually be pretty incredible. Postbox does looks outdated but has some of the best features around and is productivity oriented. I just tried Mailbird and got nothing but problems: No text showing in email content, desktop folder filled with installation files and folder. uninstallation failed and left tons of trash files and registry entries. Now the installer wont even run anymore! Mailbird looks modern and all (although the integration with slack, todoist, etc dont not look that great), but it is a badly written very patchy and unstable piece of software. I just waisted close to an hour just installing, uninstalling it and cleaning my computer. In comparison PostBox can run as a portable app and does mess with and system directories or registry.